IT used to be the world’s best restaurant, but now Noma in Denmark is upping sticks in an attempt to knock Spain’s top restaurant of its lofty perch. El Cellar de Can Roca claimed the top gong at the World’s 50 Best Restaurant Awards for the second time in three years, while Noma came in third – its lowest ranking for seven years. 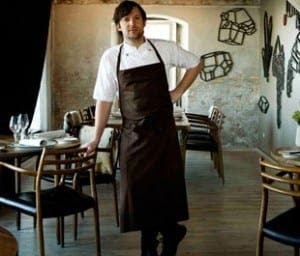 And in an attempt to return to the glory days – when it was named the world’s best restaurant three years in a row – Noma’s chef Rene Redzepi is moving on. Closing on New Year’s Eve in 2016, Noma will reopen in 2017 as the centerpiece of an entire urban farm in Copenhagen.